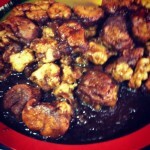 This recipe is a simple gluten free spin on traditional "monkey bread". Growing up, my family would indulge in ooey gooey cinnamon rolls or sticky buns on Christmas morning. A tradition that many people follow. The first Christmas I became gluten free I missed out on this delicious tradition, so the second year I bought gluten free cinnamon rolls (from the freezer section) that just didn't cut it for my Christmas morning standards... in comes taking matters into my own hands, literally. Christmas 2011 I decided to be in charge of Christmas breakfast, I made a savory egg white casserole and I tried this Gluten Free Monkey Bread out. 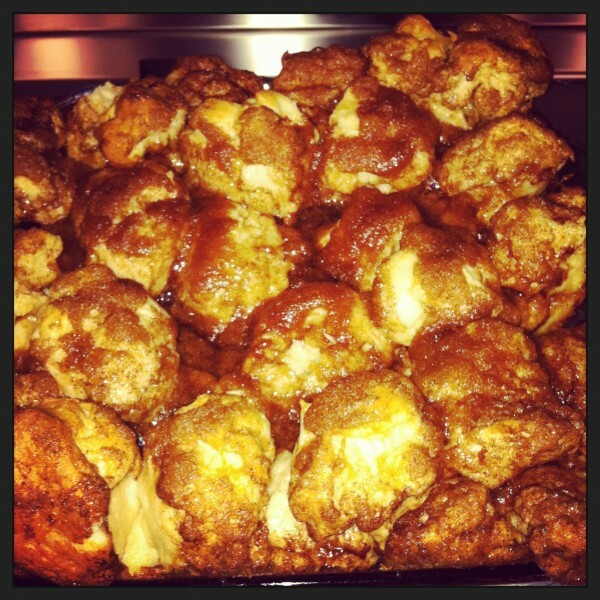 It's safe to say that the Monkey Bread was a hit, it was devoured within minutes! As Christmas morning is very quickly approaching, I am preparing to "wow" my family again and double the batch with this ooey gooey buttery cinnamony sticky mountain of dough! Remember, this recipe isn't one of my "healthier" versions of this recipe, it's just gluten free so all fellow gluten sensitive peeps can enjoy a yummy traditional Christmas breakfast! I do not recommend making this breakfast on a weekly basis--- but I am currently working on a recipe that could be counted more on the "healthier" side. I'll let you know as soon as I perfect it! For now, I wish you all the Merriest Christmas and the greatest times with those you are spending this very special Holiday with. Enjoy your Monkey Bread!! -Preheat oven to 350F and grease a medium-size loaf pan, larger if you’re doubling batch. -Bake for 30-35 minutes until bread is lightly browned and a toothpick comes out clean.